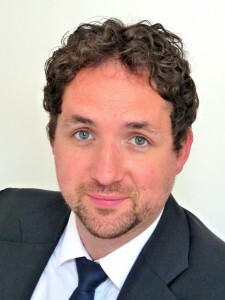 Mattias Wendel is professor of Public Law, International Law, EU Law and Comparative Law at the Faculty of Law of Bielefeld University. He is author of several books, articles and contributions in the field of EU law, public law and comparative law and a member of the editorial board of the European Constitutional Law Review and the Cahiers de droit européen. 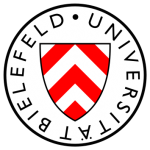 Full professor of Public Law, International Law, EU Law and Comparative Law, Bielefeld University. Second Legal State Exam (corresponds to a Bar Exam), Berlin. Doctorate (Dr. iur.) at the Humboldt-University Berlin, Doctoral Thesis Award of the Faculty of Law. Legal Clerkship (Referendariat). Trainee positions i.a. Federal Ministry of Economics – Unit EA5 (Representation of the Federal Republic of Germany before the European Courts) and European Commission – Legal Service (Team Institutions). Academic Visitor at the University of Oxford – Institute of European and Comparative Law (IECL) and St. Hilda’s College, academic supervision by Prof. Dr. Paul Craig. Holder of a doctoral scholarship of the German National Academic Foundation (Studienstiftung des Deutschen Volkes). First Legal State Exam (corresponds to a Master’s degree), Berlin. Maîtrise en droit (Master’s degree), European Law, University Paris 1 – Panthéon/Sorbonne. Scholarship holder of the German National Academic Foundation (Studienstiftung des Deutschen Volkes). Legal Studies, University of Passau, Humboldt-University Berlin and Université Paris 1 – Panthéon/Sorbonne. Internships i.a. at the German Federal Parliament (Bundestag) and the German Ambassy Paris.